SRC Airshows is owned and operated by Stephen Covington. 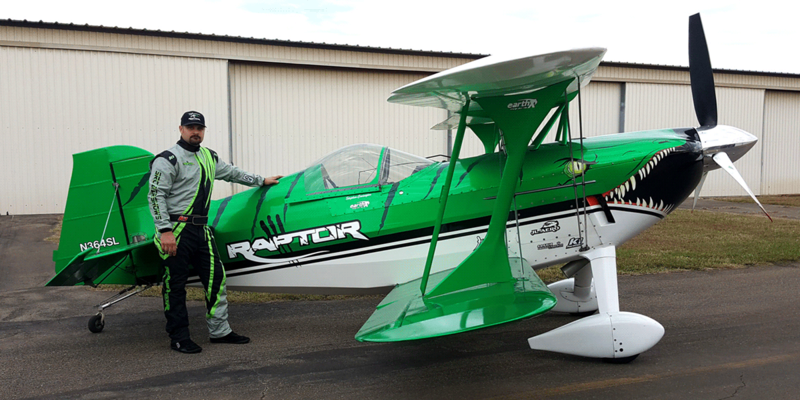 Stephen is also the pilot at SRC Airshows where he amazes everyone with his aerobatic performances in his highly modified Pitts s2s named the “Raptor”. Stephen has been flying for 15+ years now and holds his commercial rating. New to this year’s act will be a formation act with Jason Newburg in his Viper Pitts. Crowds will soon be amazed at these two tearing up the skies in their twin Pitts! Aviation has been in Stephen’s blood since a kid. Airplanes was always his favorite toys when he was little and war movies with planes in them he could never pass up.